This collection will serve as a reference for students, academics, practitioners, law enforcement and others working in this area to reflect on the current state of research and consider future priorities. 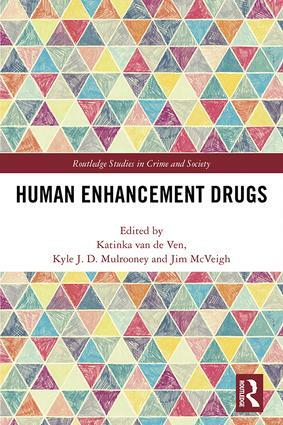 This detailed exploration will provide a valuable knowledge base for those interested in human enhancement drugs, while also promoting critical discussion. 5. Steroid Madness - Has the dark side of anabolic-androgenic steroids (AAS) been over-stated? 21. How to respond to the increasing use of cognitive enhancers in academia? Dr Katinka van de Ven is a Research Fellow as part of the Drug Policy Modelling Program (DPMP) at the Social Policy Research Centre (SPRC), University of New South Wales. Katinka’s research focusses on the use and supply of performance and image enhancing drugs (PIEDs), which includes projects surrounding the prevention of PIED use, harm reduction policies and improving healthcare services for users. She is a Honorary Research Fellow at the Public Health Institute, Liverpool John Moores University. Katinka is Editor-in-Chief of Performance Enhancement & Health and the Director of the Human Enhancement Drug Network (HEDN) (www.humanenhancementdrugs.com). Dr Kyle Mulrooney is a lecturer in Criminology at the University of New England the co-director of the Centre for Rural Criminology (UNE). His primary field of research is the Sociology of punishment in which he has examined issues ranging from the nexus between penal populism and political culture to the areas of drug policy and rural crime. He is also particularly interested in the use, supply, and regulation of enhancement drugs. Kyle holds a Ph.D. in Cultural and Global Criminology from the University of Kent and Universität Hamburg, an MA in the Sociology of Law from the International Institute for the Sociology of Law and a BA (Honours) in Criminology and Justice from the University of Ontario Institute of Technology. Dr Jim McVeigh is the Director of the Public Health Institute at Liverpool John Moores University. He has worked within health/public health for over 30 years and has built an international reputation within the field of human enhancement drug use, in particular, the use of anabolic steroids and associated drugs within the general population.